From low-profile investors to confectionery heirs, we present a list of highly secretive rich people. Some of them aren't even on the Forbes List—probably because they paid the magazine not to include them. Each and every one of these folks is a multi-billionaire, one of whom makes it a point not to let the world know of his real net worth. This same man holds significant stakes in Hollywood, Silicon Valley, and Wall Street. But he's just one in a slew of many under-the-radar monetary titans. If you've ever wanted to know what the richest of the rich are like in person, maybe this will clue you in to the fact that they're not so different, at least not the little-known rich people mentioned here. If you feel like we missed any important financial kingpins or mysterious rich people, let us know in the comments. Spanish billionaire and founder of clothing and accessories retailer Zara, Amancio Ortega surpassed Warren Buffet as the world's second richest man in 2015. His apparel empire, which has expanded over the decades to house approximately 6,500 shops in 88 countries, goes by the simple philosophy of aggressively advocating for the customer, limiting advertising, and giving them what they want as soon as possible. Although Ortega and Bill Gates routinely switch spots as the world's richest man, he still sits with his employees in the company cafeteria. He lives a humble life in La Coruna, Spain, visits the same coffee shop every day, and dresses in the same plain blue blazer and white shirt almost daily. Tic Tacs, Nutella, and Kinder Eggs. She is perhaps the most honorable billionaire on this list, even though she didn't personally make the money herself. In 2011, Maria Fissolo became the widower of Italian entrepreneur and candy magnate Michele Ferrero, who founded Ferrero SpA, Europe's second largest confectionery company. The 98-year-old filthy rich Fissolo lives in Monte Carlo, Monaco. 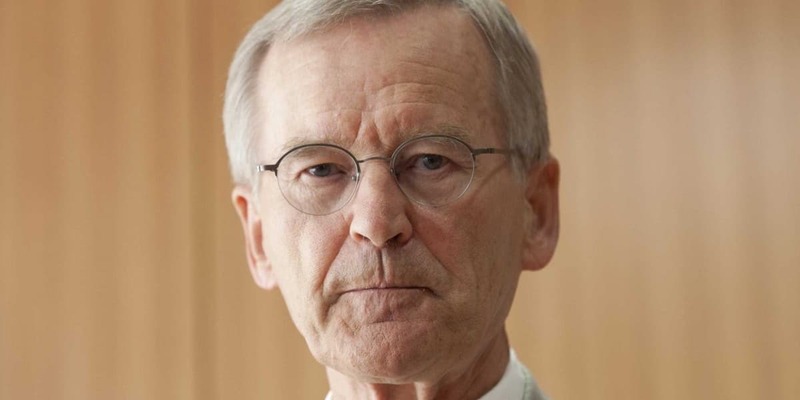 German billionaire Karl Albrecht was the founder of supermarket chain Aldi, Europe's Walmart. When he died in 2014, he was the 21st richest person in the world. Like American billionaire Chuck Feeney, Albrecht lived a life of recluse, preferring to shun any accolades and transfer them to his employees. After he died, Aldi spokesman Sarah Twyman told Bloomberg, "He had a strong belief that everyone should be able to consume high-quality food and beverages at the lowest possible prices. He devoted his life to making his belief a reality." In 2014, there were more than 1,300 Aldi stores in the US and 3,500 in eight other countries. Leonardo Del Vecchio likes to keep a low profile, perhaps because his company, Luxottica, price-fixes sunglasses and sells them at astronomical rates in proportion to what they cost to make them. More power to him. Luxottica owns (probably) every sunglasses chain store and brand you've ever heard of: Sunglass Hut, LensCrafters, Ray-Ban, Oakley, among others. Yep, they're all part of the same company. Del Vecchio is the richest man in Italy and the 37th richest man in the world. Though he only has a high school education, he was smart enough to know people will buy $200 Ray-Bans because most people with money (and people who don't have money) care about the status involved in a price tag. Especially if that price tag is hanging off a shiny new pair of Ray-Bans.